Founded in 2014, we have marked our identity as a progressive club through campaigns tackling injustice such as our hugely successful Football for Food campaign. In a development of this campaign, the club has sought ways to highlight issues behind food poverty, such as low wages and insecure work. A recent report by the Joseph Rowntree Foundation revealed that Sheffield is the lowest-paid of all the UK’s major cities, with hourly wages in Sheffield £1.15 less than the national average, and 76p lower than they were in 2010. In a bid to raise awareness of these issues, the club has teamed up with the Sheffield Trades Council, the umbrella organisation for trade unions in Sheffield. Employees at unionised workplaces have been shown to earn around 12.5% more than non-unionised workplaces, as well as unions helping to provide safer workspaces and highlight and fight together for improved terms and conditions at work. Sheffield Trades Council has a strong tradition of providing solidarity support to trade union campaigns on issues such as low pay. 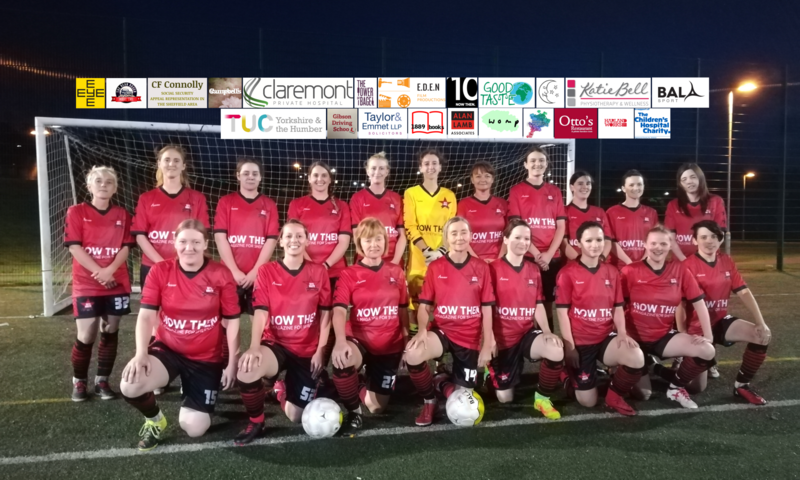 The partnership aims to promote the benefits of belonging to a workplace trade union with a series of eye-catching and novel posters highlighting the similarities between supporting each other at work and on the football field. Released for Heart Unions Week, a week of activity from 12 – 18 February throughout England and Wales that highlights the good work that unions do every day to offer everyone a voice at work, we hope the message will reach and encourage workers to find out more about what trade unions can do to help conditions at work. AFC Unity are promoting the values of trade unionism reflected in Unity’s ethos by using the #UnityForAll hashtag on social media. 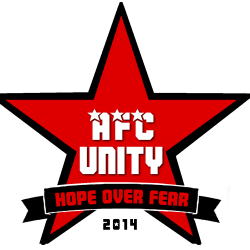 Trade union members are also able to access discounts via the club, including a discount on joining the AFC Unity Ultras, our official supporters group.